Don’t miss out on this spectacular deal on a top quality fifth wheel camper! Here at Bullyan RV, we are offering one remaining Keystone Montana High Country 344RL fifth wheel at an amazing closeout price. At a discount of 33% off, this deal is too good to pass up! For luxury extended RV living at a fraction of the cost, this Montana High Country 344RL On Sale is a one of a kind best buy! Here, we’ll take a look at some of the stand out features this exclusive Keystone Montana High Country special has to offer. 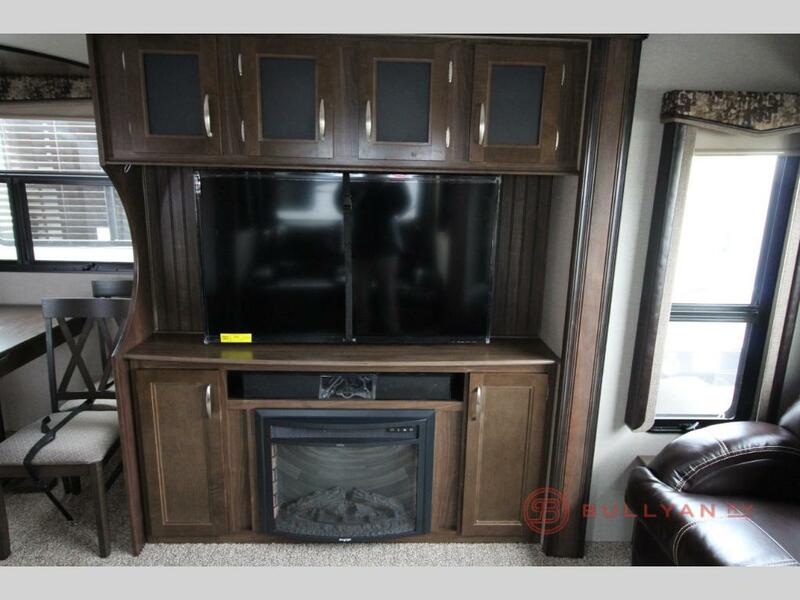 The Keystone Montana High Country 344RL offers top of the line residential comforts including luxurious theater seating, a nicely appointed electric fireplace, a plush hide-a-bed sofa and a free standing dinette. The 344RL floorplan also features a spacious kitchen area with a kitchen island layout. This extra solid surface counter space makes food prep and clean up much more convenient. Pack all your favorite refrigerated goodies in this huge double door 12 cu. ft. refrigerator. A large refer is a must for extended and full time RV living. Get a good night’s sleep on the spacious king sized bed. This optional feature is an upgrade from the standard queen sized bed. Outdoor kitchens are not just for bunkhouse floorplans. 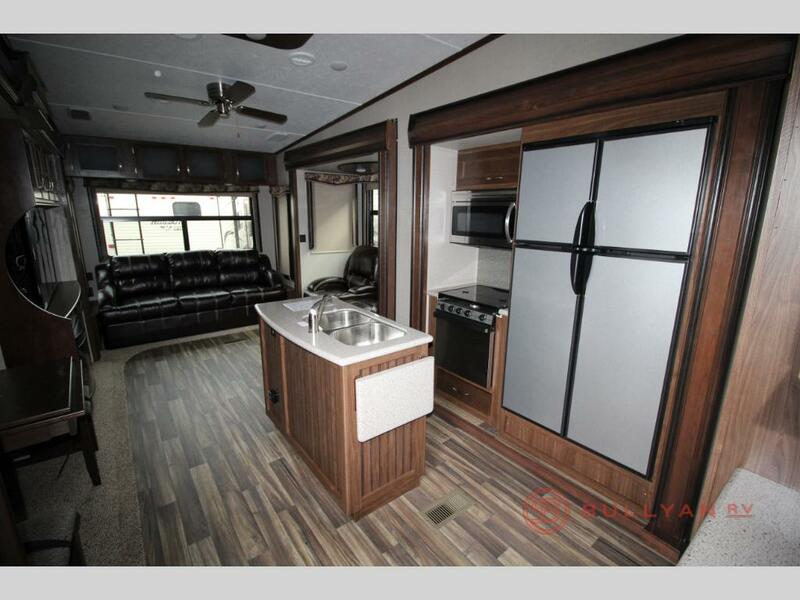 The Montana High Country 344RL includes a fully equipped outdoor cooking center with a mini fridge, microwave, cook top and overhead storage. The fold down rear cargo rack is perfect for transporting bulky gear such as bicycles, coolers, etc. The Keystone Montana High Country is also prepped for a back up camera for backing into campsites safely and easily. Make your life easy with this auto leveling feature. With the push of a button, your fifth wheel camper is perfectly level. 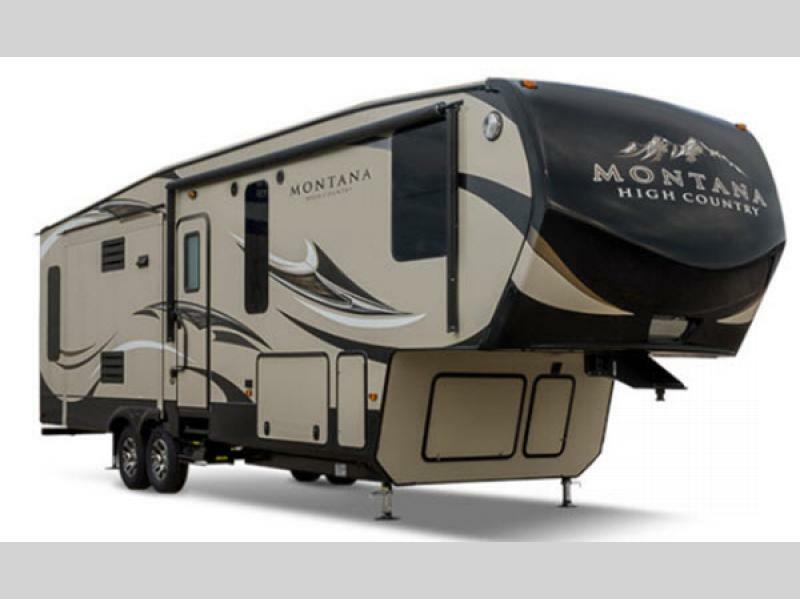 The Montana High Country features an enormous pass through storage compartment due to the drop frame construction. There is plenty of storage space inside the coach as well. You will find a kitchen pantry, space under the king sized bed, and an enormous walk in wardrobe with washer dryer hookups. 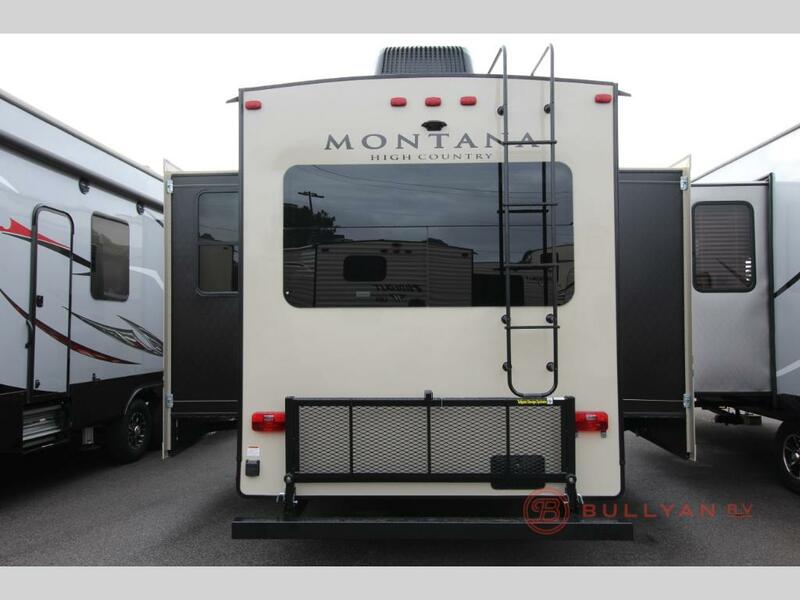 Act now and take advantage of the special closeout sale pricing on this Montana High Country 344RL. Contact Us or Visit Us at Bullyan RV today!